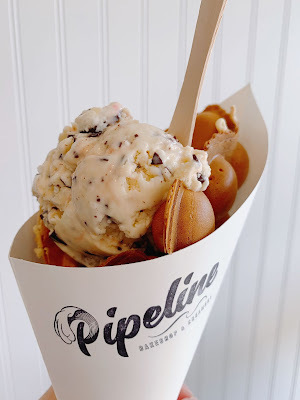 Pipeline Bakeshop and Creamery, the Kaimuki bakery known for their made to order malasadas, has taken their homemade ice cream to the next level by offering mochi bubble waffle cones. The mochi bubble waffle cones are made to order and will cost you an extra $3.50, but believe me the chewy dessert is well worth it! Head over to their Instagram or Facebook page as they are celebrating 2019 with 19 days of Aloha by hosting giveaways until the end of the month!